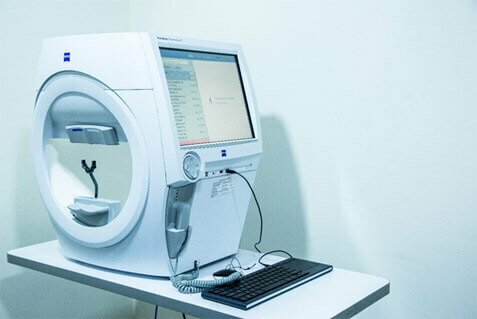 We are proud to introduce for the first time swept source OCT angio machine outside institutional setup in the city of Hyderabad and the states of Telangana and AP. It detects motion contrast and identifies blood flow in vessels by detecting difference in signals in multiple successive scans. Scan rates have increased from 7000 A scans per second in time domain OCT to about 1,00,000 A scans per second in the current generation of Swept source OCT thereby providing higher resolution of OCT.
We are equipped with the latest generation Carl Zeiss Visucam 524 machine which has a simple design and is easy to handle and provides ultra high resolution(24 megapixels) fundus imaging in multiple modalities including FFA, ICG and fundus autofluorescence. 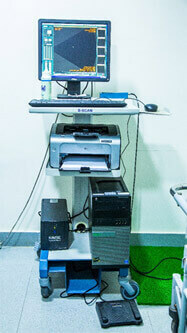 We are equipped with both Ultrasound B scan and UBM. 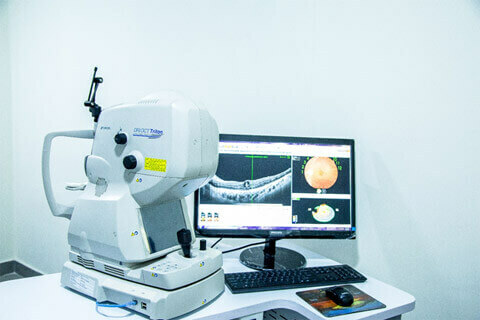 B scan helps in imaging the posterior segment of the eye while UBM helps to image the pars plana, ciliary body and the anterior chamber of the eye. 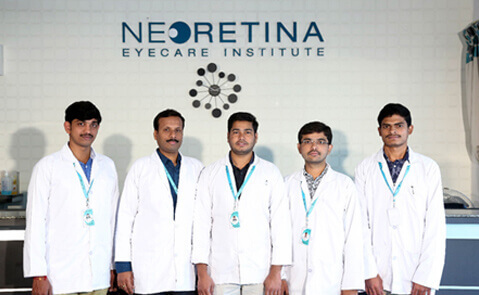 This helps in identifying both posterior segment disorders as well as anterior segment pathologies. The new Zeiss HFA3 comes with the latest Liquid Lens Technology which enables faster examination by automatically loading the patient’s refractive correction from their previous exam. 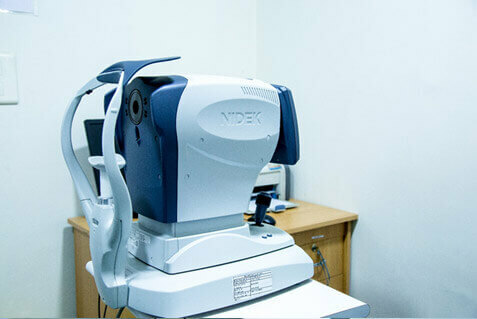 This also reduces chance of error when selecting a lens during test setup. 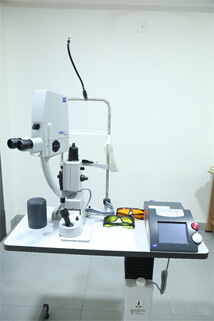 It has an improved gaze tracking initialization and easy to use kinetic graphical user interface with full 180° testing range. It measures progression simply and easily with Guided Progression Analysis (GPA). 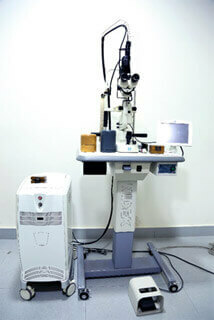 RelEYE helps to preserve an image of the patient’s eye at every stimulus presentation during a SITA Standard test. 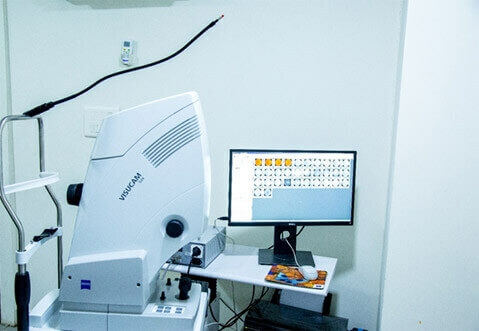 It checks for ptosis or trial lens rim artifacts as well as assess patient's compliance with RelEYE in both GPA and single-field analysis modes. We are equipped with the best YAG delivery system and is suitable for indications like YAG capsulotomy and YAG iridotomy. 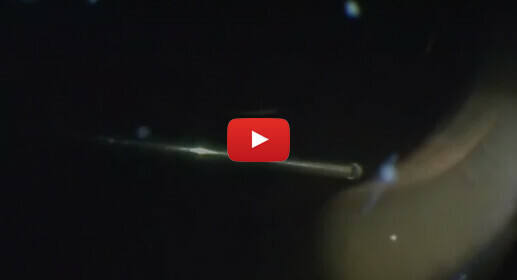 It ensures optimum amount of energy being delivered to the target tissue resulting in minimal amount of energy being needed for photodisruption and high precision treatment.